Our People - Meet the team that makes PEI great! Learn more about the people who make up PEI. Learn about the leaders who make PEI great! Want to join? See our Careers page! Tim is originally from Cincinnati and has resided in Colorado since 1992. He earned his B.S. in Finance from the University of Arizona in 1983 and his M.B.A. from Arizona State University in 1984. 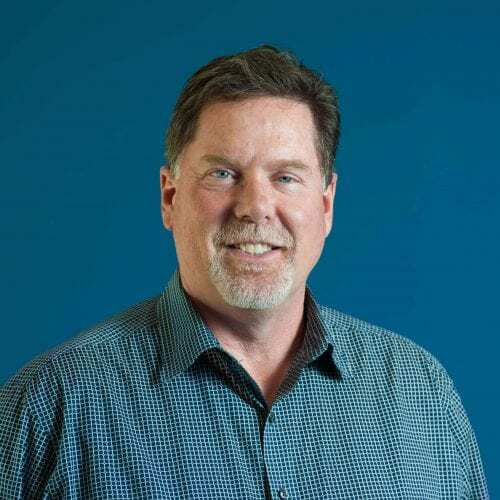 Early in his career, Tim worked as a financial and economic analyst for a multi-national consulting firm and lived in Los Angeles, San Francisco, and Phoenix, Arizona. He co-founded PEI with his brother, Chris, in 1988 in San Mateo, California. After four years in Northern California, they re-located PEI to Boulder, Colorado. As President and CEO, Tim is responsible for the overall direction at PEI and focuses on both tactical and strategic business and financial matters. In addition to his duties at PEI, Tim is an active real estate investor. He has served on advisory boards with many technology companies and is active in his community. In addition, he enjoys fly fishing, camping, hunting and competitive shooting. He and his wife live in Erie, Colorado. Jacob Eker has been with PEI for over twenty years and has been in the IT consulting/project management realm close to thirty years. He is responsible for defining infrastructure and network architecture standards as well as overseeing implementation of these standards by the PEI Engineering team. Jacob is PEI’s most experienced Microsoft infrastructure engineer and has architected and implemented hundreds of environments. He is a specialist in migrations from alternative platforms to Microsoft Active Directory and Unified Communications. Jacob maintains multiple professional certifications including Microsoft MCITP, MCSE+Internet, VMware VCP, and Citrix CCEA. In 2003, Jacob was distinguished with a nomination by Microsoft for MVP of Exchange and is currently also a top Microsoft P-Seller in the Rocky Mountain Region. Jacob graduated from the University of Colorado, Boulder with a Bachelor of Science in Business Administration. When not working, Jacob enjoys spending time with his wife and two children, training for triathlons, and golfing. Myke was born and raised in a galaxy far, far, away (Southern California). He started his early career as a Fast Food Distribution Engineer (Drive-thru at McDonald's) before discovering the high-impact world of Information Technology. While the sounds of waves crashing were enjoyable, Myke decided to relocate to the mountains of Colorado in 2005. Myke brings with him 20 years of experience in the Customer Service and Technology industries. 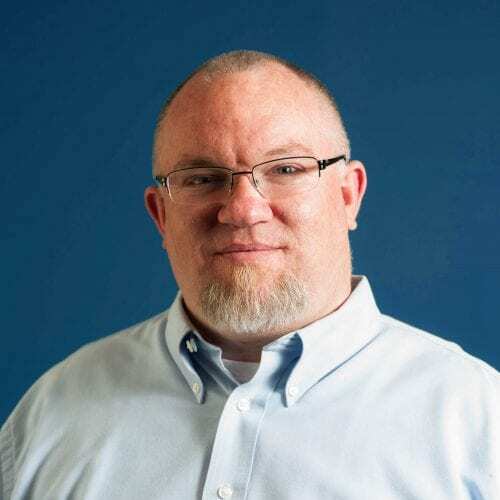 He has worked as a Helpdesk Engineer, Network Engineer, and Systems Administrator. He enjoys getting to the root of technology problems so that real issues can be solved, empowering companies to focus on their business, not their technology. He currently resides in Longmont, Colorado with his wife and kids and can be found taking them on bike rides and enjoying local Farmers Markets when he is not working tirelessly on directing and architecting technology solutions. 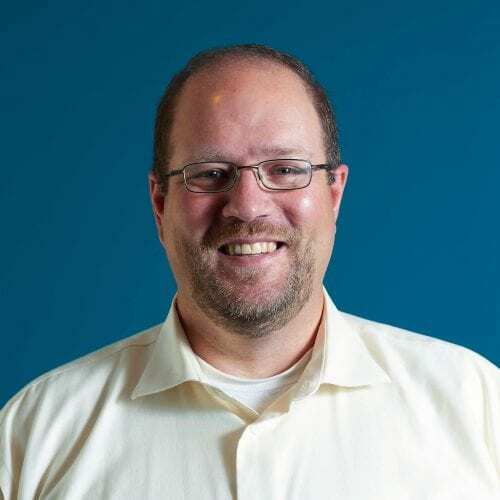 Adam moved to Colorado from Philadelphia in 2005 to pursue a Bachelor of Business Administration at the University of Colorado Boulder’s Leeds School of Business. After earning his B.A. in Marketing with an emphasis in Advertising, he decided to make Boulder, CO his permanent home. Adam joined PEI in 2012, and is head of the Marketing and Partnership department. In addition to his position at PEI, Adam is also an active member of the Boulder community, serving as a mentor for current University of Colorado business students and participating in several of Boulder’s recreational sports leagues. He is also an outdoor enthusiast who enjoys camping, hiking, skydiving, and snowboarding. Originally from New York, Martin graduated from Penn State University in 2011 with a degree in Psychology and Business. After graduating, Martin relocated to Colorado and entered the technology industry working in sales on the distribution side. Martin then joined PEI as Director of Client Relations in 2012, and since then, has been working tirelessly across multiple verticals in order to secure long-term business relationships. Most notably, he led the team that tripled PEI’s Managed Services client base during his first 3 years with the company. Martin enjoys working in the technology industry because of the incredibly fast pace and ability to help transform PEI’s clients with technology. During his free time, you can find him coaching lacrosse in Boulder or white water rafting with friends. Like what you see? Fill out our form to begin working with a top IT Service Provider!